We have included below a listing of our current opportunities. We encourage you to visit this page often to find the latest opportunities to join our team. Interested applicant should complete our employment application (see below) and attach a cover letter. All applications submitted through our website are directed to Sonia Maxwell, HR Director/Compliance Officer (SMaxwell@hanfqhc.org). Our benefits, combined with a positive, mission-minded staff, make Health Access Network a great place to work! HAN is committed to hiring the best providers and staff and is dedicated to providing high quality care and compassion in the communities we call home. For more information about our organization, visit our About Us page. 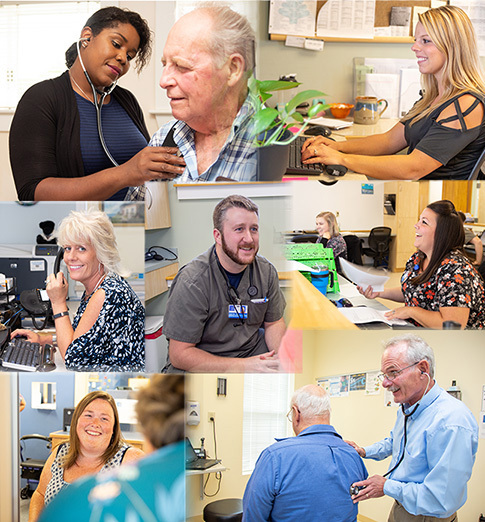 HAN is the 3rd largest employer in our community with a workforce of more than 120 dedicated employees, our employees stay with us for six years on average, and work hard to serve nearly 12,000 patients annually. If you would like to learn more about our Lincoln community, visit our Community Profile page.